"Second, the reports indicate that there will be no lull in the negotiations; they will continue as soon as next month. That means now continues to be a critical time to pressure Iran to release Pastor Saeed." CNN reported that a new deadline for a political framework has been set for March 1, 2015, and a final deadline for an agreement for July 1st. The original deadline for the deal was set for Monday. Iran has been looking for a deal to ease restrictions on its nuclear program, which it insists will not be used for creating nuclear weapons. 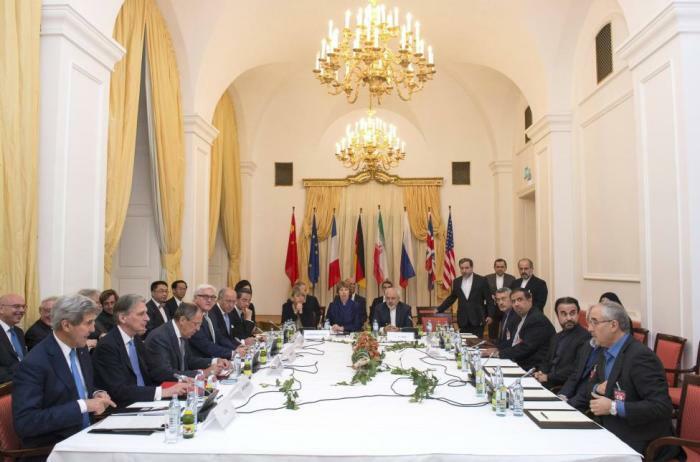 The new deadline will allow the Iranian government another seven months to reach an agreement with western officials. "We have had to conclude it is not possible to get to an agreement by the deadline that was set for today and therefore we will extend the JPOA to June 30, 2015," British Foreign Secretary Philip Hammond told reporters, according to Reuters. The Joint Plan of Action had been agreed to between Iran and the P5+1 countries in 2013 in Geneva. With that, Tehran would limit its higher level uranium enrichment in exchange for easing some economic sanctions that had been imposed on the country. Hammond suggested that "significant progress" had been achieved in talks with Iran, and that there is now a clear target to reach an agreement before the next deadline comes to pass. The ACLJ, which represents Abedini's wife and two children in the U.S., has been calling on President Barack Obama to continue pressing Iran for the pastor's release. The pastor, an American citizen, has been imprisoned in Iran for over two years since his arrest in 2012. The Iranian court sentenced him to eight years in prison, and the ACLJ argues that Abedini is being punished for his Christian faith. Jay Sekulow, chief counsel of the ACLJ, clarified in a statement last week that the law group is not suggesting that the pastor should be ransomed in exchange for nuclear concessions, which could affect the lives of millions, but warned that Iran needs to show through actions that it is willing to improve its treatment of religious minorities. "If Iran is not even willing to do that — not willing to release a husband and father who is no threat to the Iranian regime — then does any rational person believe it will abandon its national aspiration to build a nuclear weapon, the one weapon that could destroy Israel and bring immense suffering to the world?" Sekulow posed. The ACLJ noted that current negotiations represent the most dialogue America has had with Iran in the past 35 years. "We are continuing to work in Congress to pressure this Administration to demand Pastor Saeed's immediate release and are continuing to meet with world leaders, urging increased international pressure on Iran," Jordan Sekulow said. Over 150,000 people have signed an online petition urging Obama to remember Adedini during the nuclear negations with Iran. In another campaign started by supporters of Abedini, people are being encouraged to purchase specially made postcards and send them to the White House, urging Obama to pressure Iran for Abeidni's release.